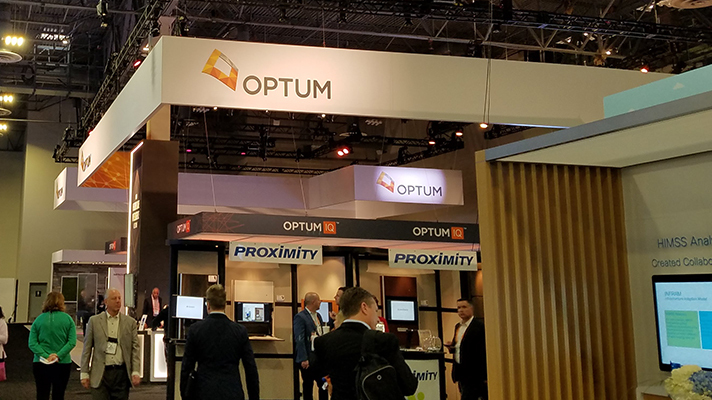 Health systems and physician practices have a long history of information-sharing to support population health goals and improve the patient experience, said Mark Morsch, vice president of technology at Optum, and that trend will only accelerate in 2019. “In the past year, we have seen a concerted effort to convene stakeholders on emerging technology capabilities like blockchain and AI/advanced analytics, which can improve the effectiveness and efficiency of care,” said Morsch. “This year, our presence at HIMSS shows how emerging technology can have practical results, taking a closer look at personalized medicine, AI and machine learning, and IoT, and how these advancements can improve financial performance and population health, enable risk-based reimbursement programs, and modernize the military and veterans’ health systems," he added. Those might appear to be lofty goals, but technology has improved how stakeholders in healthcare safeguard, interpret and share a trove of healthcare data. The industry often focuses on the power of technology, he said, but it’s really about clinicians' ability to apply it in ways that allow them to practice at the top of their license. A standout 2019 health IT trend for Morsch is the fast pace at which healthcare organizations are adopting emerging technologies, such as artificial intelligence and advanced analytics. Morsch believes people in general have reached a point in time where humans are more comfortable allowing technology to augment their day-to-day experience and enhance their decision making. "To be successful in a business setting, investments in advanced analytics and AI must have a defined objective and align with your overall technology strategy." Asked what he would advise HIMSS19 attendees, Morsch stuck with his big theme: collaboration and AI. That said, Morsch recommends that healthcare organizations make sure the organizations they partner with have enough grounding in healthcare to understand their business models and operating environment so they don’t end up with technology investments that have little practical value.